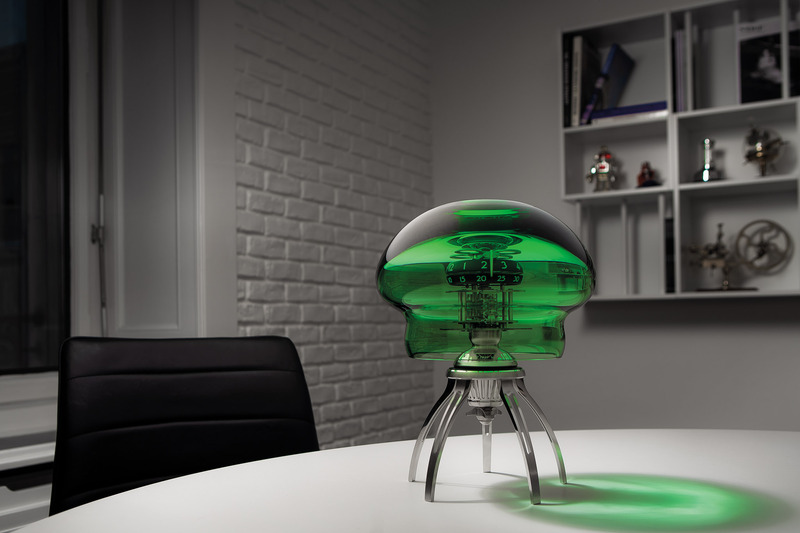 Arachnophobia is a mechanical table clock shaped like a spider. 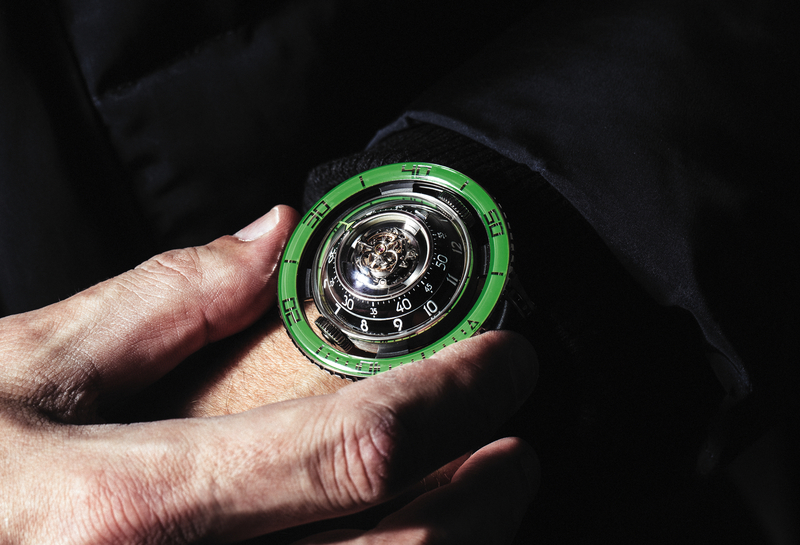 It was conceived by MB&F and produced by L’Epée 1839. 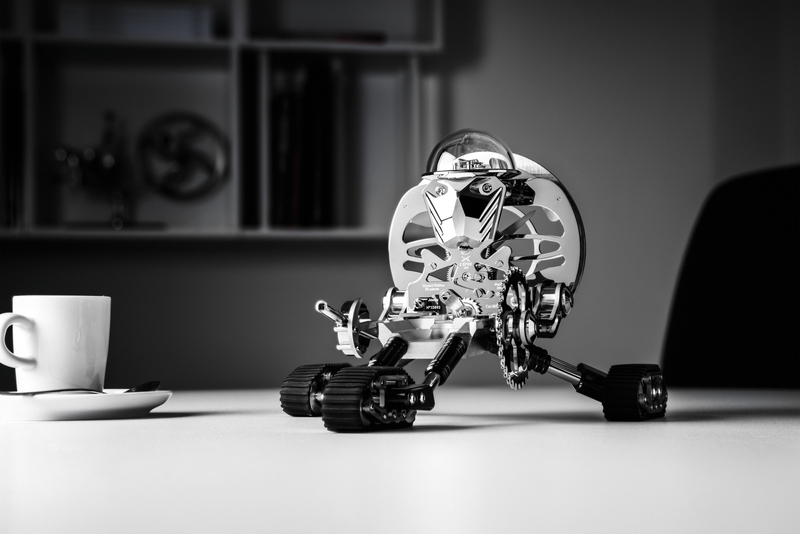 Aptly, in addition to sitting horizontally as a table clock, it can be mounted vertically on the wall as well. 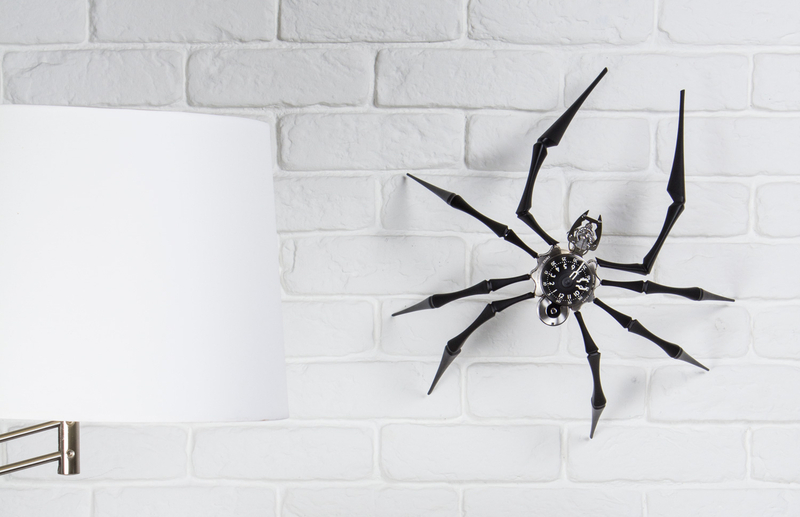 A total of 218-components make up this high-end clock that was inspired by a spider sculpture called “Maman,” which means mother in French and was created by Louise Bourgeois (1911-2010).